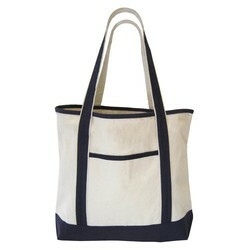 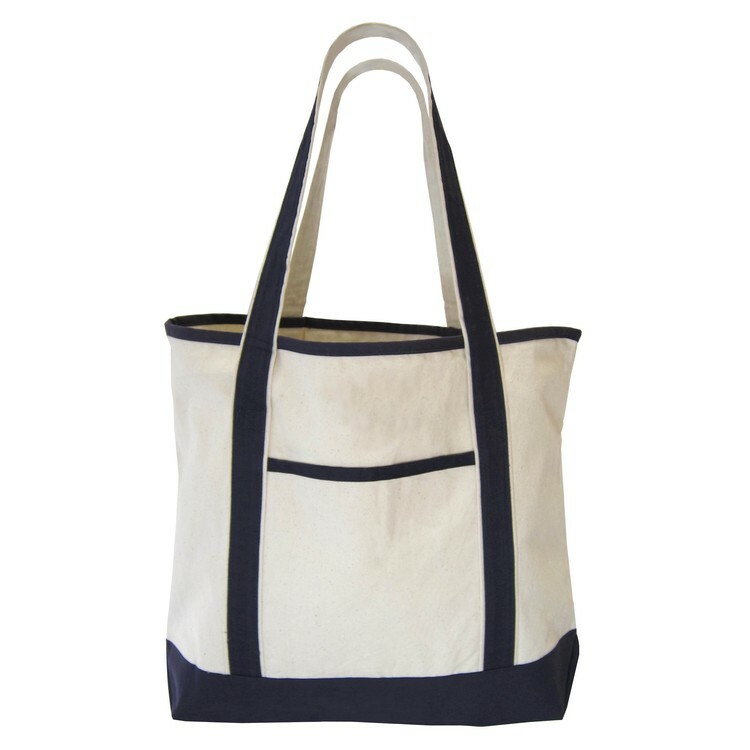 Tote: 22" W x 16" H x 6" D, 14 oz. cotton canvas. Reinforced bottom and wide shoulder straps. 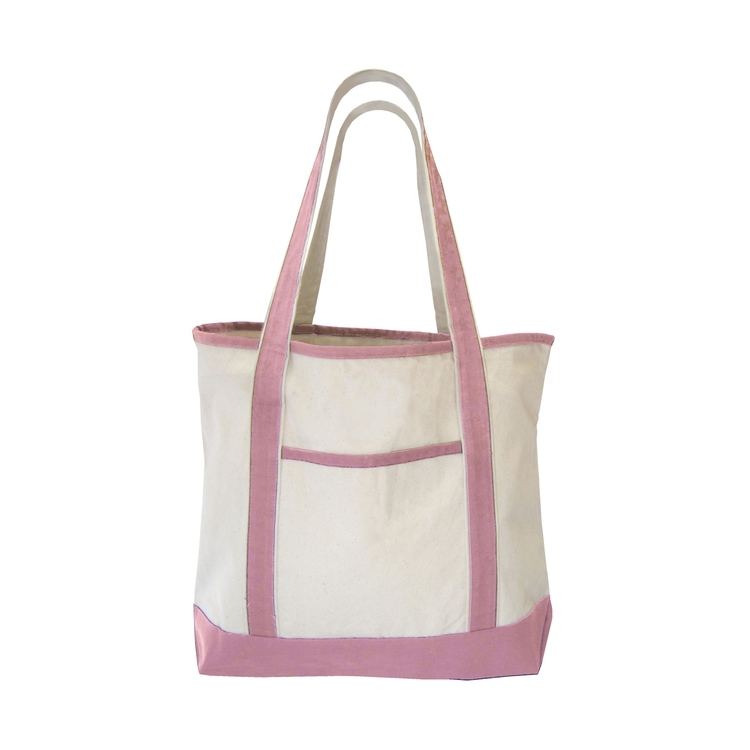 Production Time: 8 working days for quantities listed.